Goal: to educate the public about its rights when faced with eviction or foreclosure, and to provide legal advice. 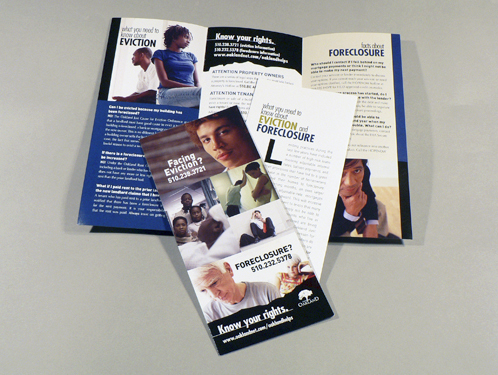 In response to the current mortgage crisis, the City of Oakland hired Jung Design to create print ads for several area publications and a 4-color brochure. All ads and brochures were translated into Spanish, Cantonese, and Vietnamese for the widest possibleout reach.